“Not bad, you’d make a fair beater, Potter.” Err, or keeper. Jessi weighs in on her bookish fancies – but with a twist! For our final Valentine’s crush list, she offers some boys off the beaten path. Without further ado, here’s my list of randoms in no particular order. 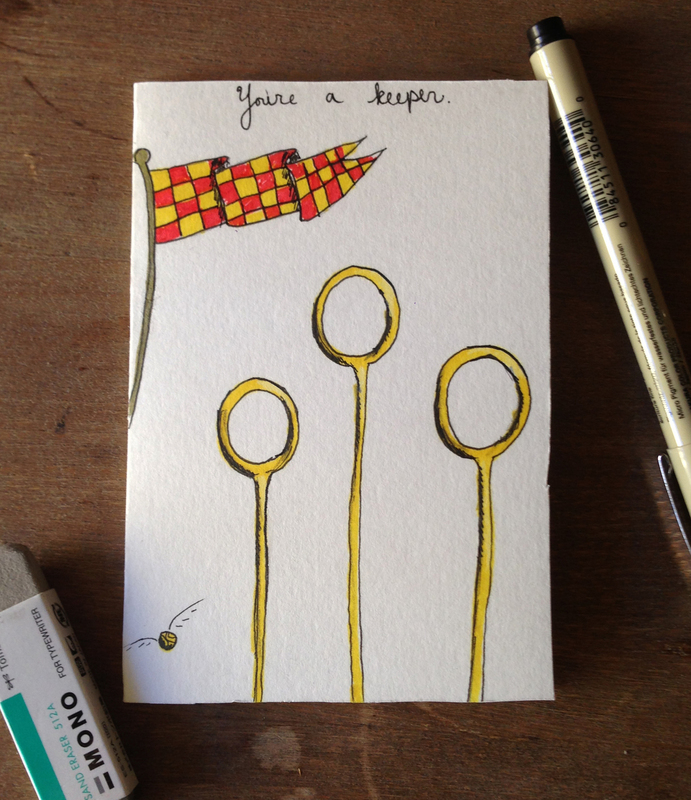 Burly, focused, inadvertently hilarious, Quidditch-obsessed piece of perfection. He’s definitely a keeper. Crushworthy: “Bad news, Harry. I’ve just been to see Professor McGonagall about the Firebolt. She – er, got a bit shirty with me. Told me I’d got my priorities wrong. Seemed to think I cared more about winning the Cup than I do about staying alive. Just because I told her I didn’t care if it threw you off, as long as you caught the Snitch first.”…Okay, so he’d probably neglect you or bore you to death with long-winded Quidditchy monologues, but you’ve gotta admire that kind of dedication. Plus, he turned pro. We’re talkin’ professional athlete, people. Yes. Real, faithful, strong, schizophrenic. It has been proven that his freckles do not, in fact, taste like chocolate. Crushworthy: Sometimes, the world he sees is completely bleak and chilling, but, boy, does he love his Sunshine beautifully. He’s not a musician, nor is he a hunky Italian; he’s just your typical bloke caught in the friend zone. And he’s a laugh, duh. I usually hate novellas because the characters often lack depth. However, I’m strangely obsessed with this guy. He makes my heart all achey. Carter is reverent and thoughtful and sad and my inner teen heart will pine for him forever. Crushworthy: He will hold your hand while he sits with you on your porch swing. Every night. HOLD MY HAND, CARTER JAX! Hold it like you hold friggin my heart. I have to dedicate this one to my grandma. This book is exactly the kind of book she stashed all over her house. You know the type, paperback novels with the huge, hulking über hunk on the cover. That’s totally Hunter. Crushworthy: IT IS WAS IT IS, OKAY?